David Brody has written a well-researched book presented in an engaging manner. He tells powerful stories of men caring and teaching, that you, the reader will enjoy reading and connecting with. The depth and quality of his interaction with his subjects and his observation in the classrooms are translated into valuable insights for nurture. This book will serve not only those interested in men teaching but also those interested in how teachers, in general, provide quality education, care and nurture for young children. Buy it here! 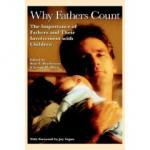 The first comprehensive study of men who work and volunteer with kids in a variety of public settings. This engaging book brings to life diverse histories and experiences of men who have worked as coaches, teachers, youth ministers, probation officers, Big Brothers, Boys & Girls Club staff, 4-H agents, and the like. Situating men's youth work in historical perspective and discussing the status of youth today, this original and groundbreaking analysis offers a forward-looking vision for getting men more involved in helping kids thrive. Everything you wanted to know about middle school but were afraid or didn’t have time to ask. This book takes you from the time you were hired to your evaluation. Real stories and real events to help you succeed. You’ll be inspired and excited to teach. What! A single man working with young children, changing diapers, cooking meals, and providing educational activities with children from 14 months-4 years old? Can a man do this all by himself? After many years working in a classroom with young children and studying early childhood education, I decided to open my own family child care. An anthology (27 articles) dealing with the most important work men ever do?-being totally involved in the lives of their children and families. It is men's strengths, their capacity to care and protect and give, that are needed by children, women, and men themselves. 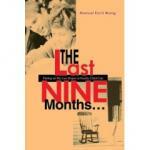 Bryan G. Nelson (MenTeach) contributed Chapter 19 - Men Teaching and Working with Children: A History and a Future.